We love feedback. Here are some great success stories. 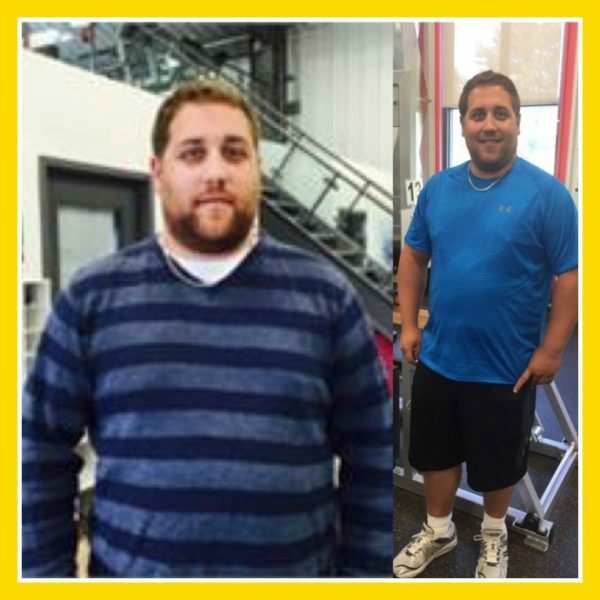 At NRG 4 Life Fitness in Uxbridge, our clients have experienced great results. 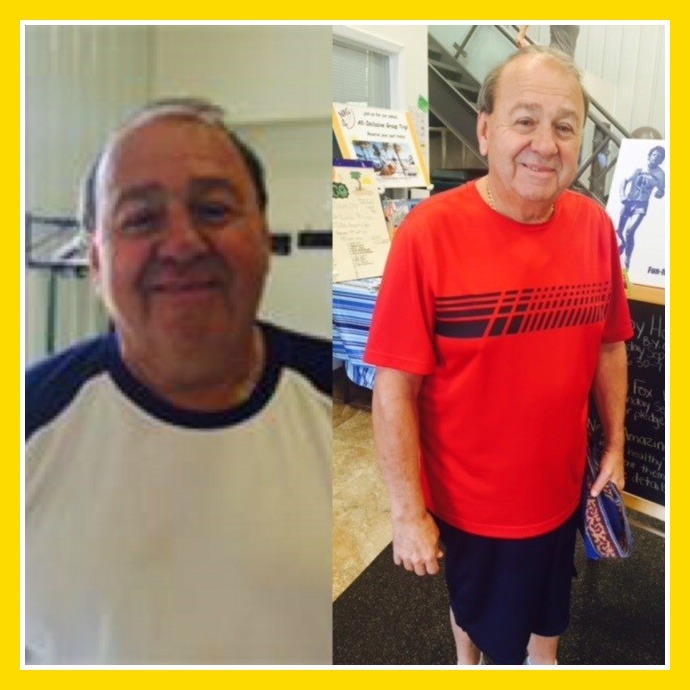 Realizing their fitness goals proved to be fun, empowering and achievable for these great men and women. Take a moment and read about their successes! Their hard work has paid off and they are all enjoying their new, fit bodies. We congratulate you all on your efforts! You are an inspiration. If you have a story to share, let us know. We will gladly feature your own success story right here. “A lot of people talk about the physical benefits of regular exercise but for me, the benefits stretched to include mental health. A couple of years ago, I changed my life: I retired from a 30+ year career, said goodbye to long commutes and longer hours of work; we sold our house and moved to Uxbridge. 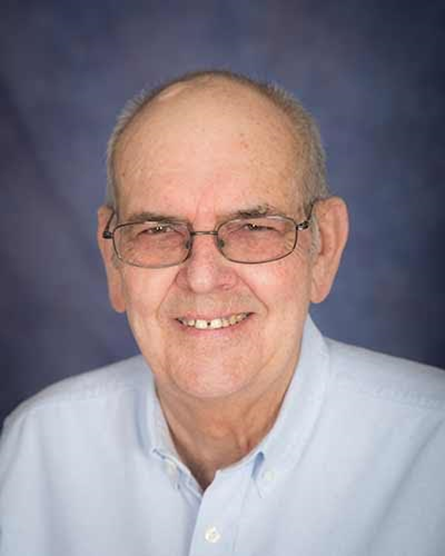 It wasn’t before long, though, that the joys of retirement started to – dare I say it? – weigh heavily on me: like anybody sampling newfound freedom, I did all the fun things: tried new restaurants, expanded my cooking skills, walked the trails and enjoyed reading books I put off for years. But it wasn’t enough; I felt as I was missing something. I’d always been active but post-retirement, it felt like the goal posts had moved. and some exercise. However, age is becoming a factor. out on the golf course! time under 8 in a year and a half! NRG has proven to be an easy addition to my health routine. looking forward to more improvement in 2019. Brandon and Beau are proof that the “buddy system” works for staying motivated with exercise! We are happy to recognize you both for your consistency and hard work! 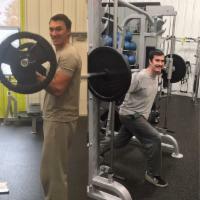 The excellent form you both demonstrate as well as respective gym etiquette to others is something that does not go unnoticed by the staff and your fellow members. Beau K. & Brandon W.
I joined NRG when learning I was pregnant. I wanted a place to go and stay fit in the winter months. I’m so happy to become a part of NRG! The staff are so friendly and motivating as well as the members. The classes are really fun with amazing instructors. They always kept my pregnancy in mind offering alternative pregnant safe exercises. It felt great during my entire pregnancy I was able to workout right up to the day I delivered my baby boy. Now 6 weeks later we (my baby and I) were able to get back at they gym with Baby Bootcamp! I’m really looking forward to getting back at it with the great people and staff at NRG. I joined initially as an alternative to running outside. I just wanted to stay fit by working out myself, however, I’ve ended up meeting so many great people and friends and attend a lot of classes now (as well as just my own workouts). After only a few days at NRG I realized what an amazing motivating place it was that made working out enjoyable and fun and not just something to “get over” with. NRG 4 Life is truly a place I look forward to going to! 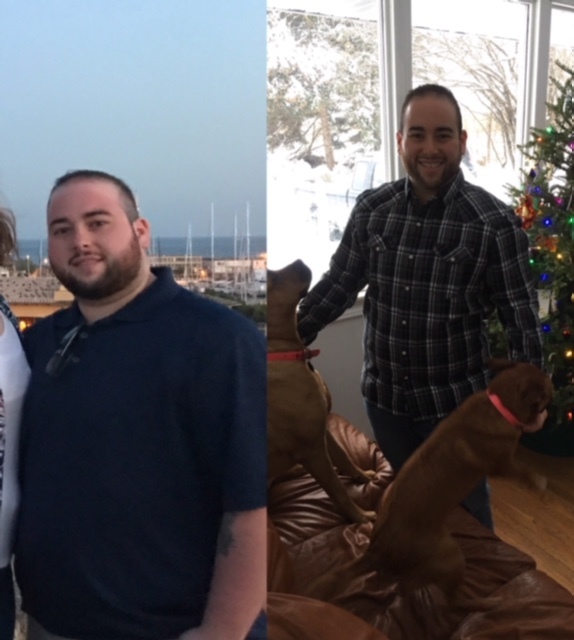 My wife and I joined NRG 4 Life Fitness at the beginning of January this year based on the recommendations of two friends who are also members. We were impressed by the dedication and genuine enthusiasm of the staff, especially the course leaders, Terry and Sarah. My goal was to achieve a much improved level of fitness, and to knock off at least 25 lbs. So far, so good. 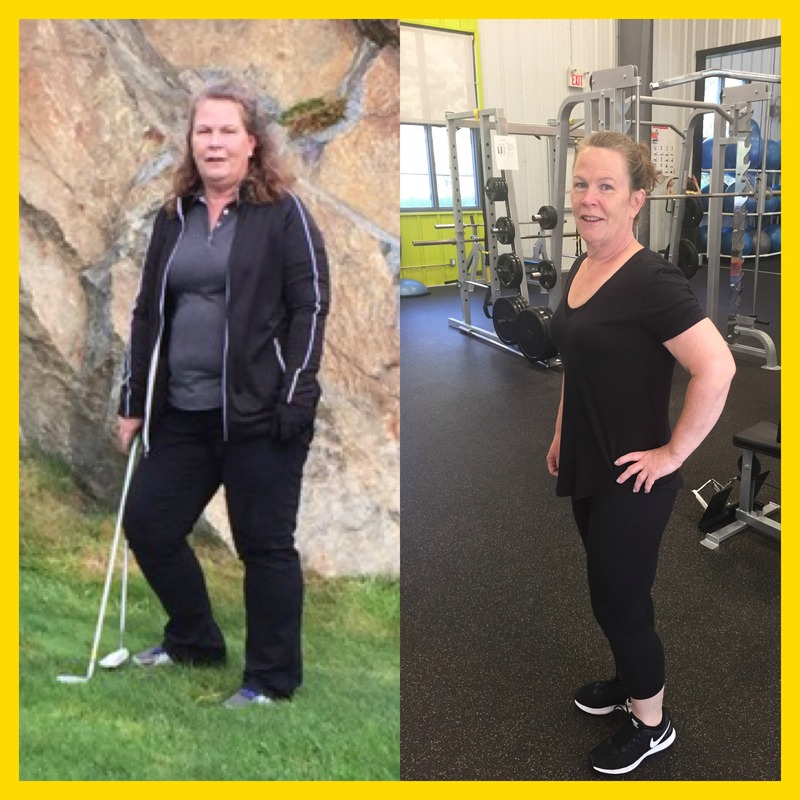 My wife consulted a nutritionist through NRG 4 Life Fitness, and we were given an excellent meal program that encourages healthy and nutritious weight loss to accompany our workouts. Taking a long term approach has been one of the keys to success; taking inspiration from fellow class members has been sustaining, and the workout leaders are outstanding. I never knew that you could do so much on a BOSU!! I am very glad that we have joined, and i look forward to ALL the classes that I attend, and to progressively higher levels of fitness. It was back in October when I came back from vacation that I was as my heaviest weight. I had high blood pressure and felt horrible about myself. I knew I had to change for the better and lose the weight. I have been a member of NRG 4 Life for many years, however, needed to get back to a regular workout schedule. I absolutely love the gym and working out along with the energy that I have when I’m done. Sarah and Terry and all the wonderful staff make it so much more pleasant to be there. In addition to recommitting to my workout schedule, I joined Weight Watchers in November. With the combination of eating a much healthier diet and my consistent workouts, I have released 32lbs. I’m now aiming for the last 20lbs. My journey towards a healthier lifestyle started on December 27th 2017. Although I previously ran half marathons and enjoyed the benefits associated with healthy eating, I fell of track. I was looking after everyone else except myself. 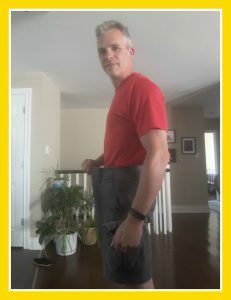 With years of shift work, caring for aging parents and an active social calendar my weight had crept up to 215 pounds. As a nurse, I knew my BMI was in the obese category on my 5”4 frame. I was becoming short of breath and was suffering from terrible heartburn. I was miserable! I knew it was only time before I would be on medication for diabetes, high cholesterol and elevated blood pressure. I’ll be 50 in August and decided that enough was enough. We are given only one body and need to take care of it. It was an epiphany. Time to get serious! Now that I’m 40 lbs lighter, I know I have the tools and determination to trim down another 20 lbs. I thank the constant encouragement from my “NRG Family” for keeping me motivated to. The Amazing Race Members Motivation program is a great example of this. I recommitted to working out more diligently and decided to start by introducing lean proteins, fresh fruit and vegetables into my diet. I avoid (bad) fats and stay away from food with little nutritional value. I have a real passion for food so spend time creating delicious recipes using herbs and spices. Being prepared is key! It’s so easy to grab food that has little value when not prepared. I spend a lot more time shopping and chopping! It’s worth it. NRG 4 Life, Sarah and Terry have provided our community with the most incredible venue to help us achieve our goals. Terry’s warmth and smile, even at 5:30 a.m. make NRG a pleasant place to go. Sarah always has nutritional tips and enjoys sharing recipes. She is devoted to her clients and is certainly an inspiration to all. I must add that Sarah and Terry employed our daughter at NRG. 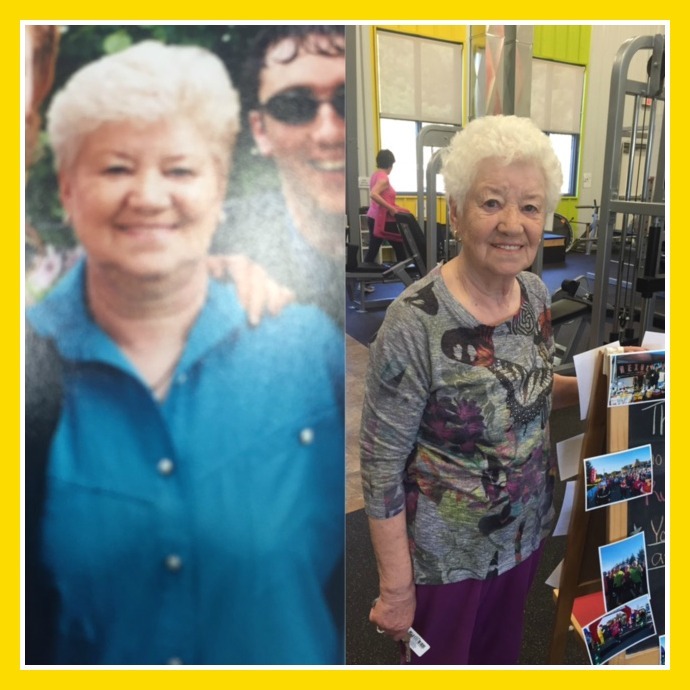 She learned so much and enjoys the benefits of exercise and healthy diet due to their positive influence. I am forever grateful. I thoroughly enjoy the spin classes that are offered throughout the day and evening. Each instructor offers a different style with various type of music I enjoy them all. Brenda, Marlene and Dean are so motivating! Neil and Taya, I can’t thank you enough for your support and motivation. My goal is to continue on this plan, attend more classes and enjoy the benefits associated with physical fitness and health! I have been a part of the NRG 4 Life family since it was in Terry and Sarah’s home studio many years ago. My journey with them began at a low point in my life so as a gift to myself I signed up for personal training with Sarah. Training led to a boost in my energy levels, my strength and most importantly my self esteem which ultimately gave me the courage to sign up for 3-5 classes a week. If only I had known earlier how important these classes would become, the friendships that I would make, the camaraderie among people just like myself. I was not alone in my struggle to gain better health!! that on top of high blood pressure, sleeping with a Cpac machine, bad knees, now I was borderline diabetic. Her advice to me was that “I could let life control my health or I could control my health”. those simple words were what made me realize enough was enough. I have been on weight loss regimes several times over my life, up and down many times. But the difference this time was that I was going into for my health and not my looks. To be honest, what I needed to do was simple, but as we know that is always easier said than done. So eat more vegetable, fruit and sources of protein. Stay away from processed foods and unhealthy fats. Plan my meals and follow an 80/20 rule, trying to be good 100% of the time is a set up for failure. Then of course exercise. 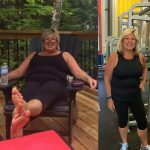 I moved to Uxbridge in May of 2017, was down 75 pounds but on a plateau. My sister-in-law Laura introduced me to NRG 4 life fitness. The gym offered a wide variety of classes with varying time options. I’m not a free weight user myself, I need the guidance and motivation of an instructor. 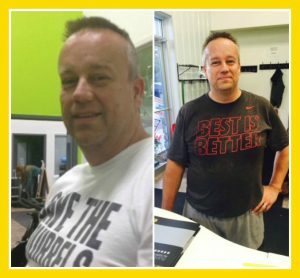 10 months since joining the gym, at my goal weight 120 lbs lighter, have tons of energy, muscle definition and new friends. I can’t thank the NRG4life team enough for their help, guidance and fun times! I’ve never been the thinnest guy but as I got older, had some injuries, a busy life and sedentary work that became a bit of an excuse for letting my weight creep up. I never felt unhealthy but I was definitely noticing changes in my health, the way my body felt and what I could do; and I wasn’t happy. I knew that I needed to make a change. One of the best decisions I’ve ever made was to come to NRG 4 Life and get set up with a trainer. From day one Emily tailored my program to exactly where I was, my background and the injuries that I’d had but also where I wanted to be. We set realistic goals and she motivated me from the very first day and made sure to keep pushing me every day. Three months in and in the best shape of my adult life, she still motivates and encourages me and keeps things changing and exciting so I never slow down. I can’t quite express how much I appreciate this gym. It’s actually a lot more than a gym; NRG4Life is a community. I joined at the end of March 2017 after years of going gym to gym. 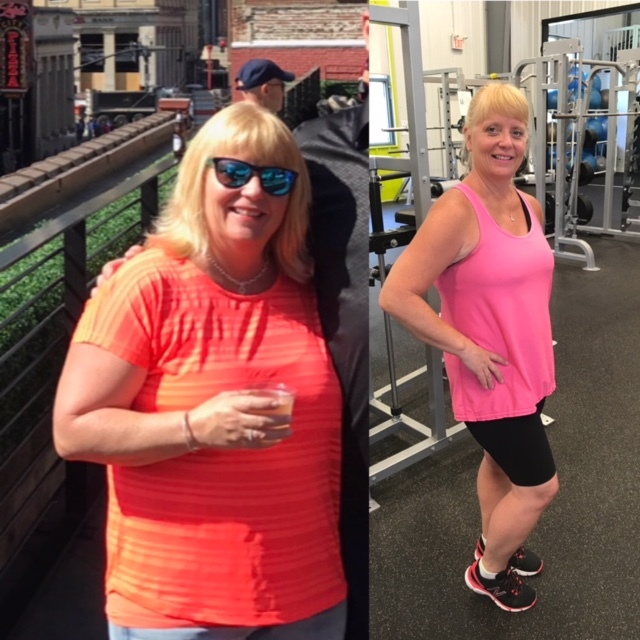 Before I came to NRG 4 Life I would stick with it until I lost a few pounds but without much motivation and lack of resource and personnel, there was never anything keeping me there or making me want to be there. Starting with the atmosphere when you walk in the doors, NRG4Life has assembled a team of friendly and welcoming people who smile and greet you as if you’ve been friends for years. I’ve never felt uncomfortable asking any of the front staff anything and have never been made to feel silly or stupid. While the first class might feel like the first day of school, each and every trainer/instructor goes out of their way to make sure you know what you’re doing and that you feel comfortable, all without singling you out. As you become more familiar with the instructors (and they become more familiar with you), the more able they are to help you reach all of your goals. I can’t thank Taya and Neil enough for always encouraging me to go harder, push myself further and get the most out of my time at the gym. What NRG4Life has helped to me realize is that physical fitness is journey. It isn’t about what the scale says or the number of muscles you can see. It’s about how you feel both physically and mentally. After a tough year in 2016 (both mentally and physically) I decided to take my health and well-being into my own hands. I started making time in my schedule for fitness classes at NRG, and even scheduled in some 1 on 1 training to get a program that worked for me. The process took time, hard work and dedication but with 1 year between these two photos I successfully have released 40 pounds! 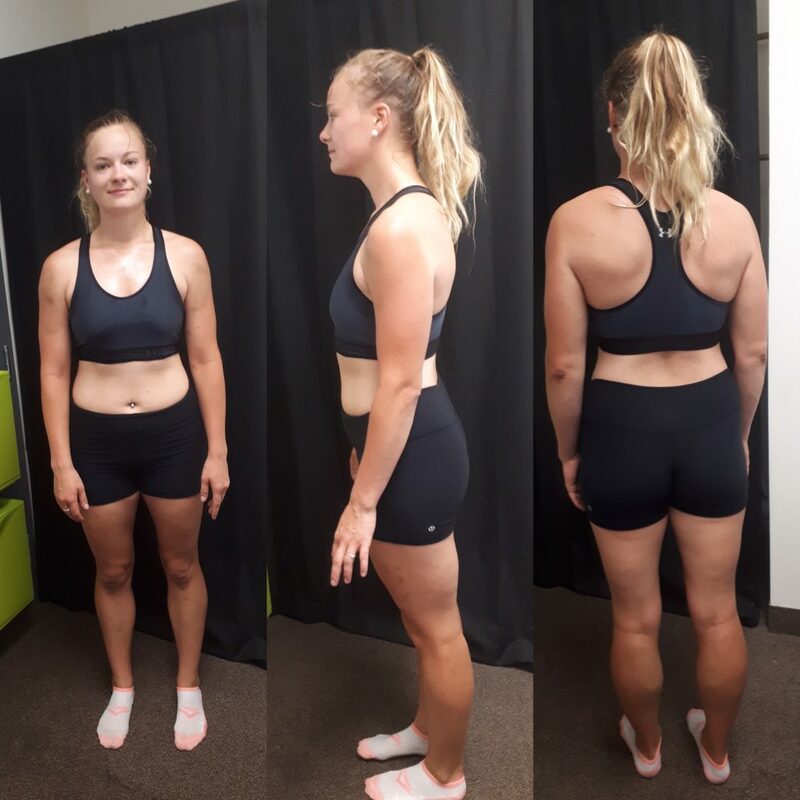 Not only have I gained a fitter, stronger, and physically healthier body, but I have gained self-esteem and joy I hadn’t seen in myself for quite some time. 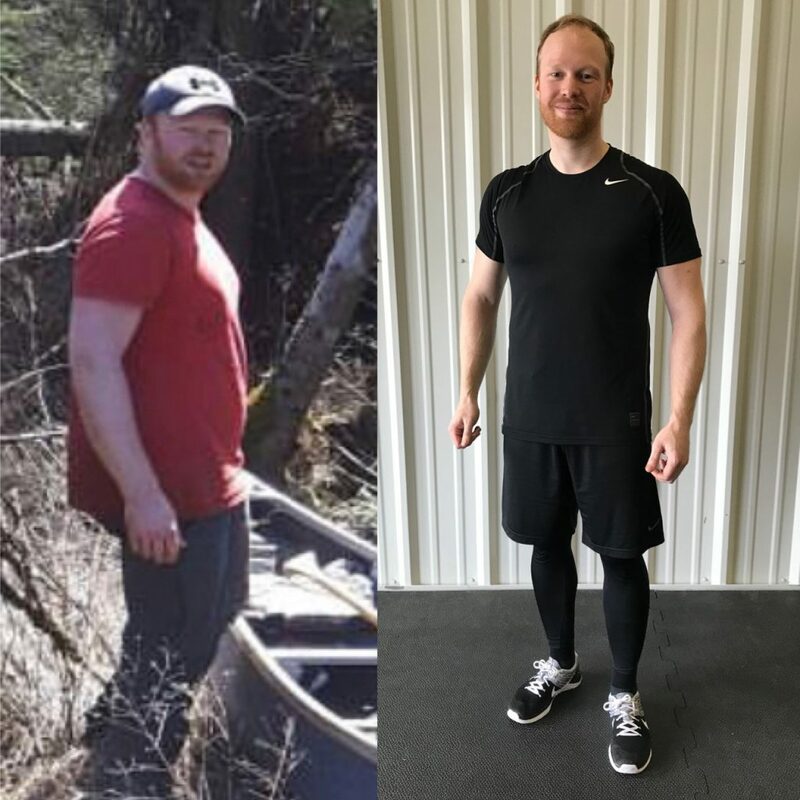 Thank you to everyone who encouraged me to get back into my workouts at NRG 4 Life, embraced the struggles along the way, and joined me on this lifestyle change so I didn’t have to do it alone! 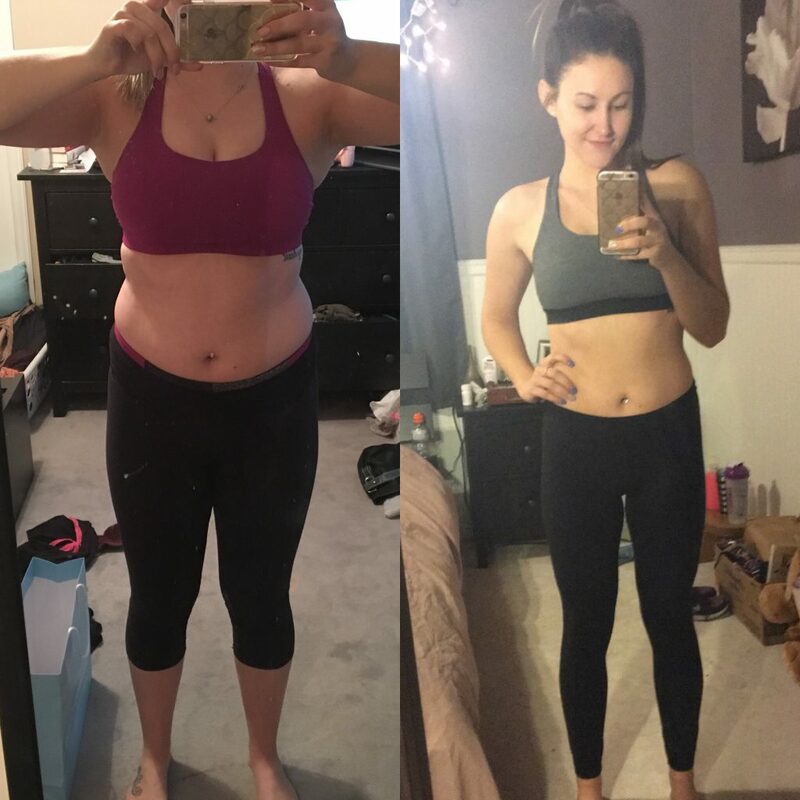 “My weight loss journey truly began in March 2017. 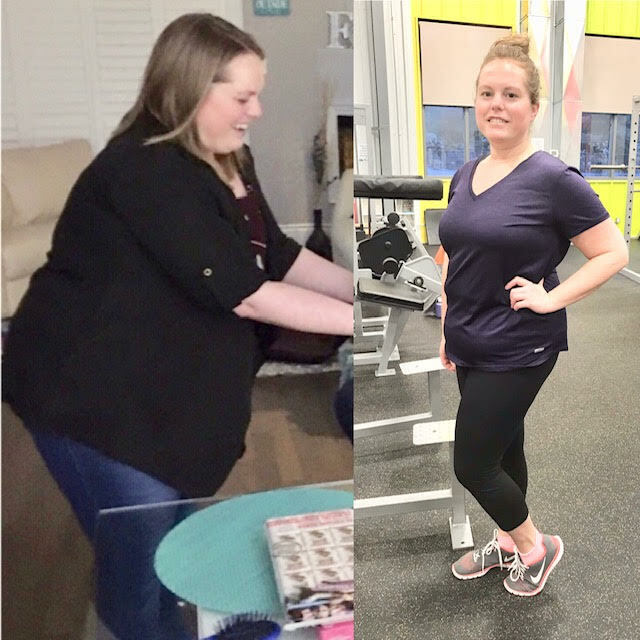 I had been going to NRG4Life a couple of times a week starting back in October 2016 after a friend encouraged me to attend personal training sessions with her. 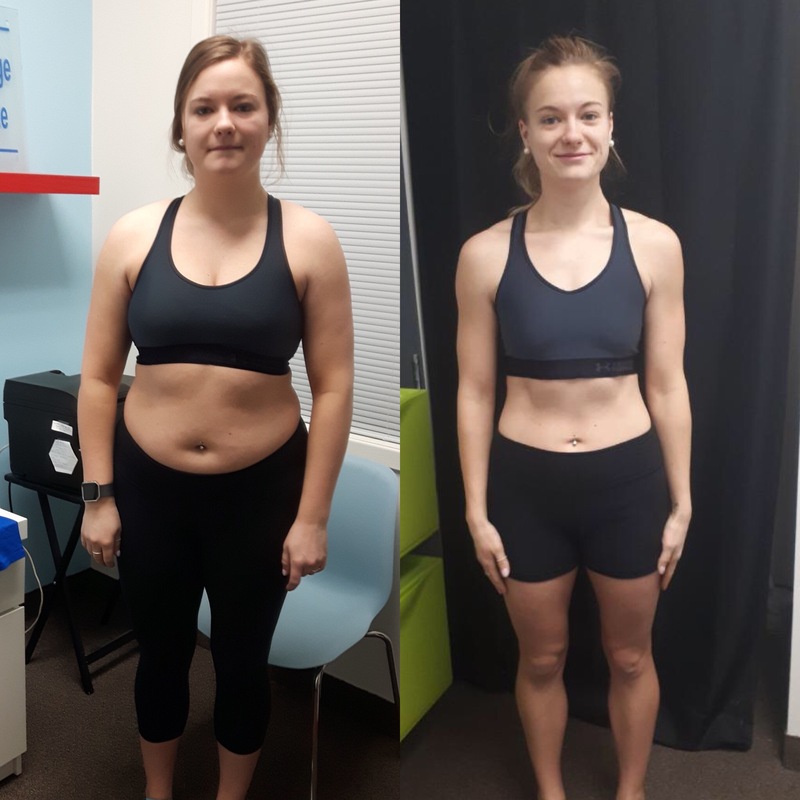 During those initial few months, Veronika stressed how important making changes to my lifestyle, most importantly my diet, would be to weight loss. I listened, but never made any of the necessary changes I needed to. I came to our sessions twice a week, she would work me extremely hard (as anyone who has had her would know :P), and that was it; I would go home and continue on with my current lifestyle. 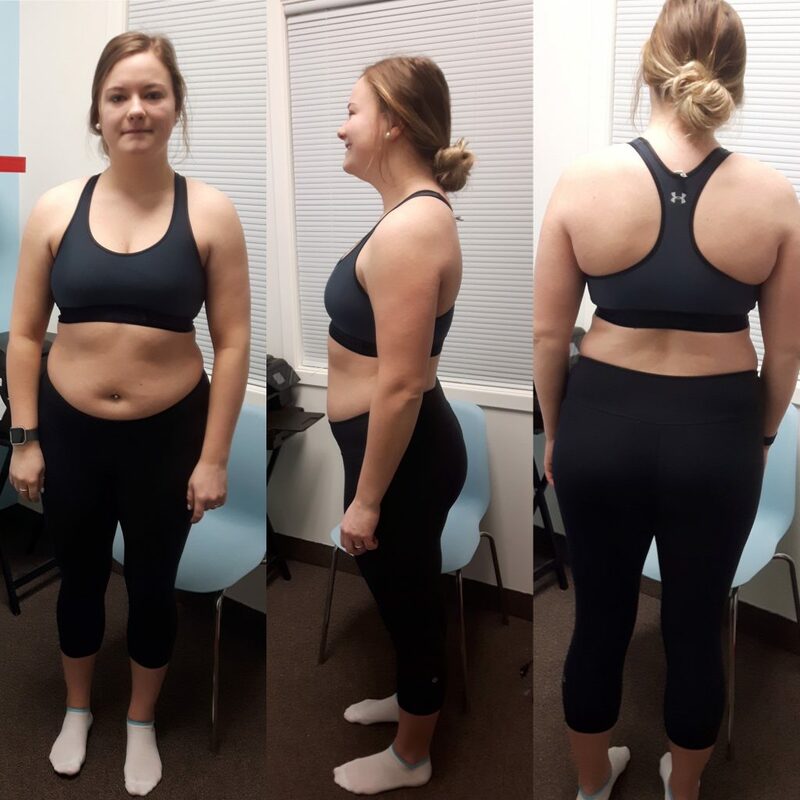 It wasn’t until March, when I wasn’t seeing the results I wanted to, that I made those changes. I signed up for bootcamp in the mornings with Veronika & Sarah and continued attending PT sessions twice a week with Veronika. I also made some significant changes to my diet and that was when I really started to see results. (On a side note, I do still indulge in some of my favourite foods, i.e. pizza and chicken wings, as if I eliminated everything I loved to eat I would have found it much harder to stay on track). 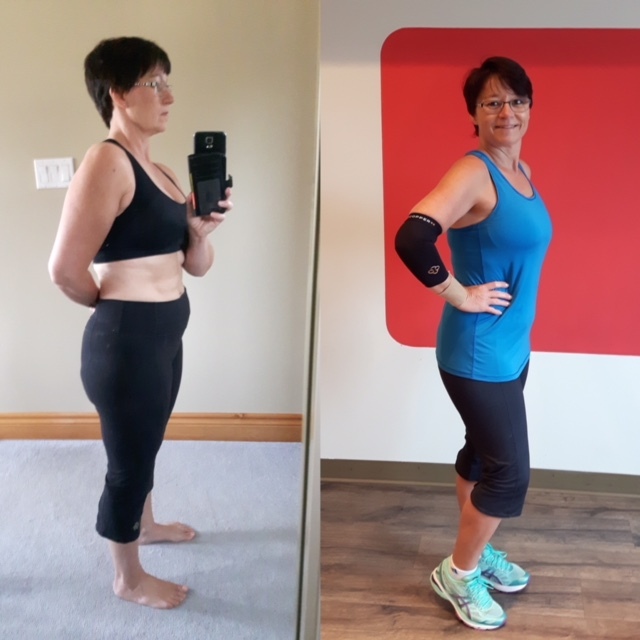 Update – Erika has continued to stay consistent with her lifestyle change and completed her goal of running the ScotiaBank Half Marathon in October and even beat her goal time by 3 minutes! Way to go Erika! July 1, 2015 I was driving to Belleville where I was scheduled to work the next day. When I got on the 401 I was overwhelmed by panic and I had to pull off the highway. I was terrified. I was having a panic attack; I couldn’t breathe, I was shaking , I felt like I might die. So began my struggle with anxiety disorder and depression. Over the next 15 months I struggled to find medication that would help me. I was hospitalized once and had to go to the ER on two other occasions. I lost 14 pounds. I was unable to work for long periods of time. I was unable to drive. I sometimes felt like I couldn’t even leave the house for months at a time. 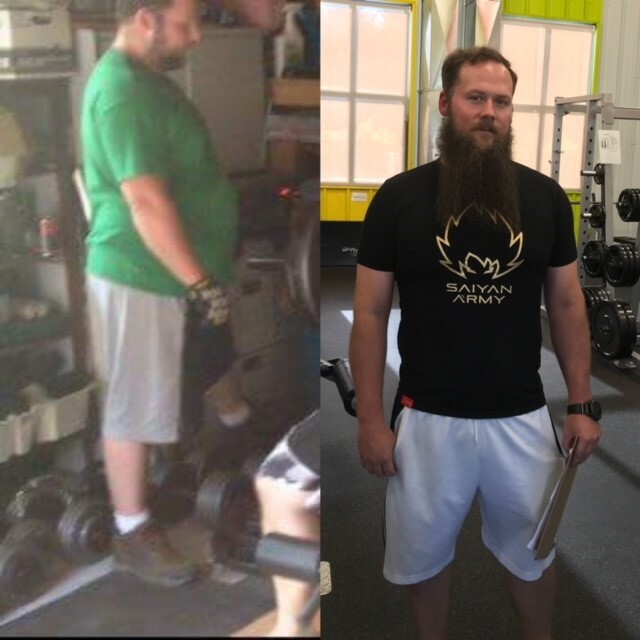 In October of 2016, I made the decision to join a gym. I had read numerous articles about MindBody Connection, articles that explained how our physical well-being is directly connected to our emotional well-being; therefor exercise could be greatly effective in reducing symptoms of anxiety, depression and a number of other mental illnesses. So I joined NRG4Life. I have gained 8 pounds. I have been able to significantly reduce the medication I take and I am back to work on a full time basis. I feel stronger both mentally and physically; when I first walked into the gym everything about me was frail and fragile. 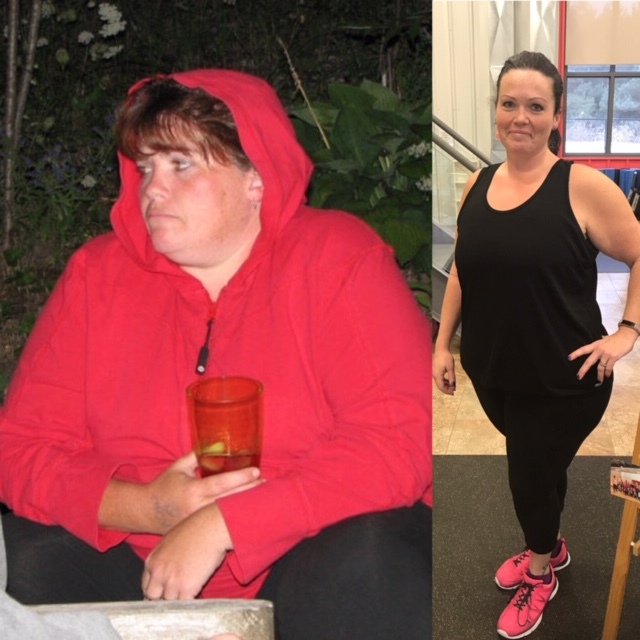 Joining NRG4Life has made a huge difference in my life. 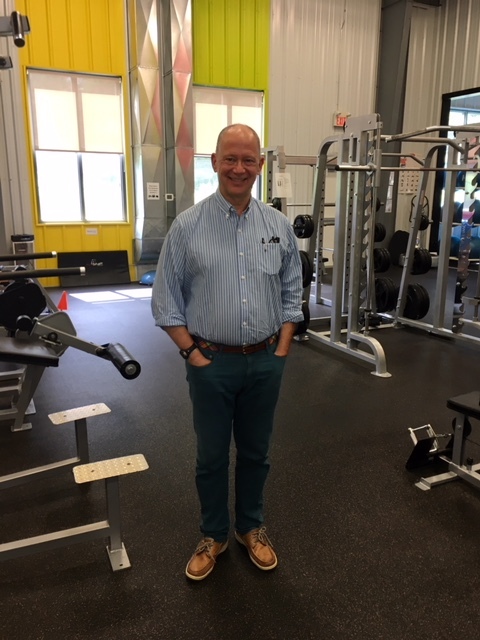 First of all it was the right choice as a gym; the first person I met with was Neil Orr to sign-up and do the equipment orientation. I was terrified [ and not just because it was Neil! 😉 ] but because at the time, simply walking into a gym was an overwhelming task. But I came back. 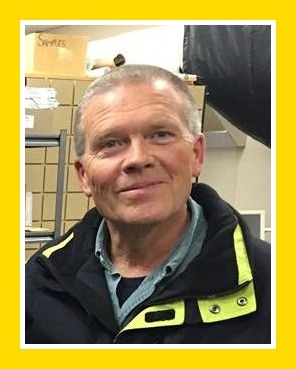 Neil on that first day was welcoming and supportive and Sarah and Terry and all of the staff continue to be supportive and provide encouragement. I would like to thank you, Terry and your wonderful staff for running an excellent facility! I am truly loving every workout that I have the pleasure of attending here at NRG. I love the variety and ease for booking …and cancelling classes when necessary through your custom app as well. Sarah, you lead your team and clients in such an inspirational, positive and upbeat manner that is so very contagious, and it’s truly a delight and honor to be sharing in your passion and well-earned success! Many thanks to all of your staff for your hard work, dedication and passion … it shines through and reflects on us all. I started my weight loss journey in January. It included Weight Watchers and walking. I decided that I wanted to expand my exercise program so I joined NRG 4 Life Fitness in early March. I have been taking a variety of different classes and have been attending multiple classes almost everyday since. I really enjoy the variety of classes offered. I want to thank ALL of the amazing staff and instructors at NRG for their knowledge and support and for being so positive. I believe it is because of this encouragement from the instructors that make people want to work hard and obtain their personal goals. Each class, I feel like they’re bringing out my best! Although I have met my weight loss goal, I know I still have a lot of work to do to tone my body and to reach my fitness goal. Fitness is a lifestyle change and something that I need to work hard at to obtain and I am looking forward to continuing to work hard at NRG. I began my weight loss journey in November when I retired from a pretty sedentary management position of 38 yrs. 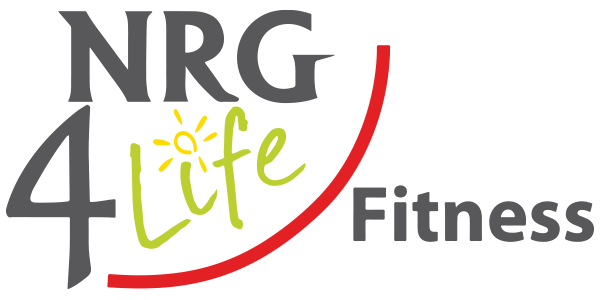 I walked in to NRG 4 Life and felt immediately comfortable as the staff were friendly and helpful plus I saw a variety of people and ages. Since then, I have released almost 30 lbs. 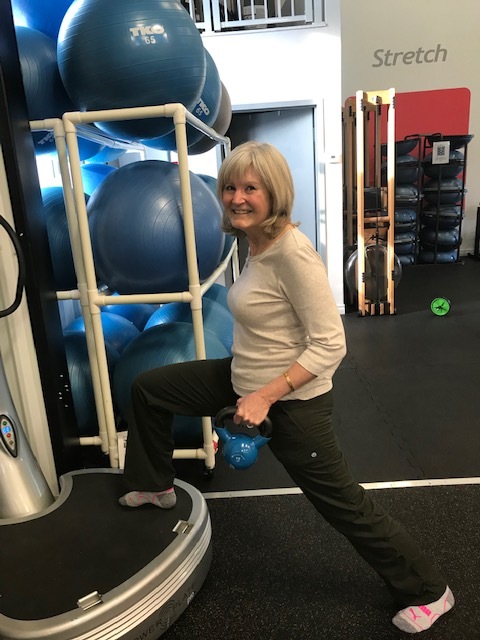 More important than the weight, however is the extra energy I have and how much easier it is for me to carry on daily chores in the garden and around the house. Fifteen years ago, I had a knee replacement from playing sports in my youth. I knew I needed to strengthen the muscles around my knees and to get some weight off to extend the life of my knees. 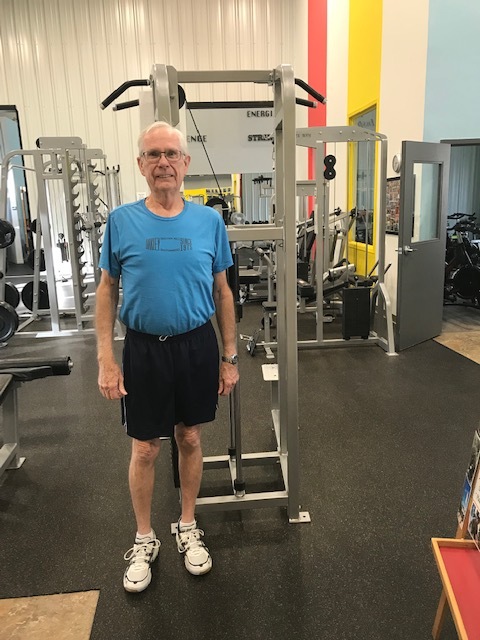 In the past, I’d only ever lifted weights for fitness, however, it was suggested by Terry, as soon as I joined, that I do cardio activity too to strengthen my heart and lungs and to kick the fat burning into gear. I started off at 2 MPH on the treadmill and now I’m up to 4 and I also “play with the levels” as Sarah suggested, doing intervals of increased speed and incline which ensures I don’t plateau. I still enjoy lifting weights and I know this along with less eating out is the combined approach to help trim the inches. I enjoy spending time at NRG as I know I’m doing something good for myself unlike others my age who turn into coach potatoes and get older before their time. I’ve never been afraid to challenge myself and now that I’m fitter I can ride my bike for up to 40 km’s at a time! I joined NRG4Life in February of 2014; I feel the positive energy from trying my best every time I go to the gym. The staff are truly great and always accommodating so I can work at my level and often motivate me to push a little harder! 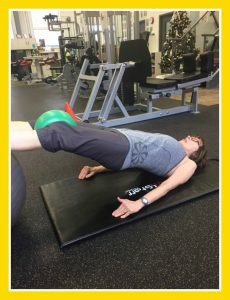 As a working Mom of 2 busy teenagers, I balance working out at the gym with many other activities. I try to be a positive role model to my children and show them small changes can truly make a difference. NRG4Life has been vital in doing this by encouraging me to attend 3 or 4 times each week. The results have paid off; I sleep better, choose healthy food options and have lost 15 pounds. 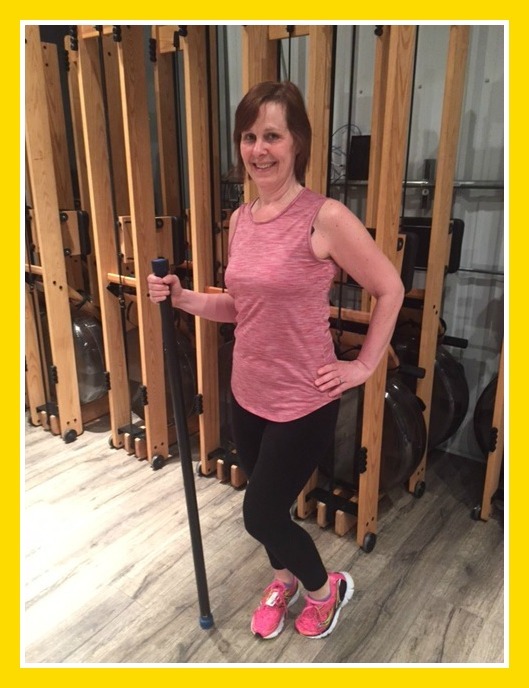 I am grateful for the friendly staff that greets me and enjoy the variety of excellent classes. Thank you NRG4Life! I absolutely LOVED the first Bootcamp session. I’m so excited for tomorrow. I left feeling so grateful and energetic for the day!! Thank YOU! 🙂 I have attended the Zumba classes…I went last week and I added on Gold membership on to Bootcamp for this month, so I’m going tonight too and looking forward to it. I had never done Zumba before either…so much fun! Thank you for the Bootcamp Bulletin as well as detailed confirmation info. Just over a year ago, I was told by my doctor I was pre-diabetic and needed to lose weight. My inactive lifestyle including business lunches out had caught up to me. My wife signed me up at NRG 4 Life actually! I felt comfortable right away and started losing weight. I have maintained this now for almost a year. I’m always greeted with encouragement and a smile. It’s a gym with a lot more than great equipment! I lost a significant amount of weight 10 years ago and have kept it off. I love the energy I have from working out regularly – doing weights and cardio along with eating healthy. When it comes to being healthy and fit, you truly have to want it – to want to change. It means adjusting your lifestyle. Even if you don’t have full support from family, you need to keep working out and making healthy eating choices for you. People will start asking how you’re trimming down and that’s encouraging. Changes shouldn’t be drastic, especially if you want them to stick. 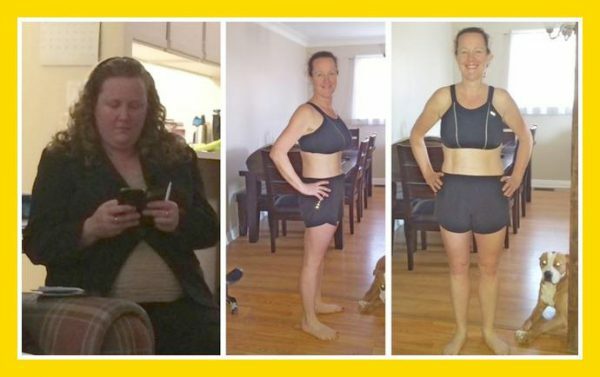 They see my results and they might be more encouraged to try to be healthy too! It’s about fitting it in around the family’s schedule. Use Windows of time. Adapt if you have to. I’ve learned to prioritize myself and know this is ok and what has to be done to be healthy. It’s about tweaking the little things – eating more healthy carbs for example (greens) and less white unrefined carbs. Eating protein at every meal is important as well is very important. When it comes maintaining your workouts, remember you will have days that you aren’t as motivated to go to the gym, and that’s where NRG 4 Life comes in. 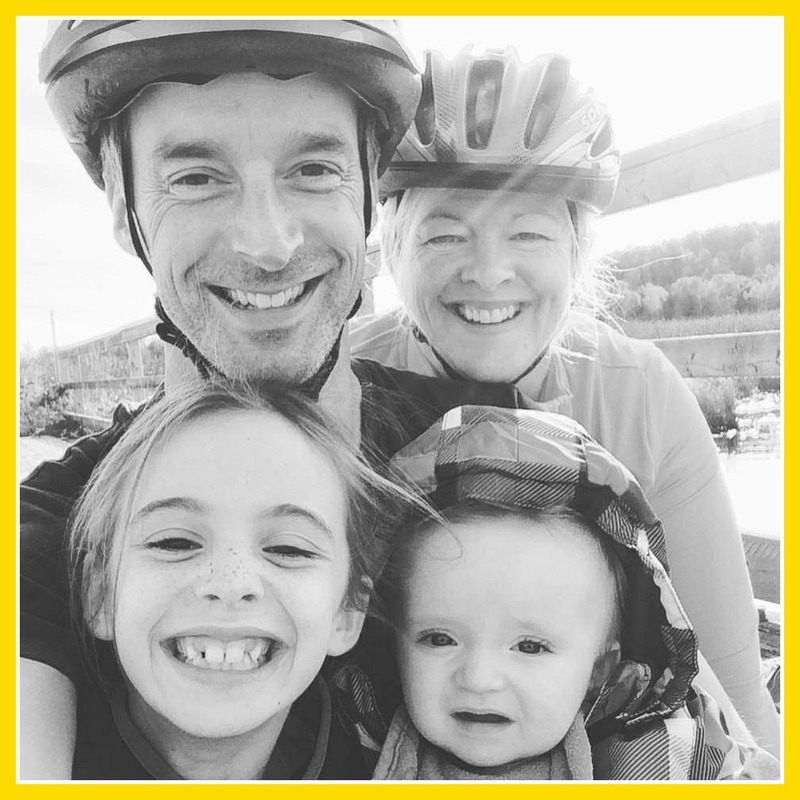 There’s always a friendly face and fun challenges in place for us members to make it easier to keep going! I always leave feeling glad that I made the effort and have more energy. I love this feeling. Thanks Sarah, Terry and your staff. What you have created at NRG really works. Joining your fitness centre has been one of the best choices I have made in life. I appreciate you all so much and I have made many friends as well. I look forward very much to the ongoing positive experience! I finished my first 5k race with a new personal best. It was great! What a fantastic feeling! 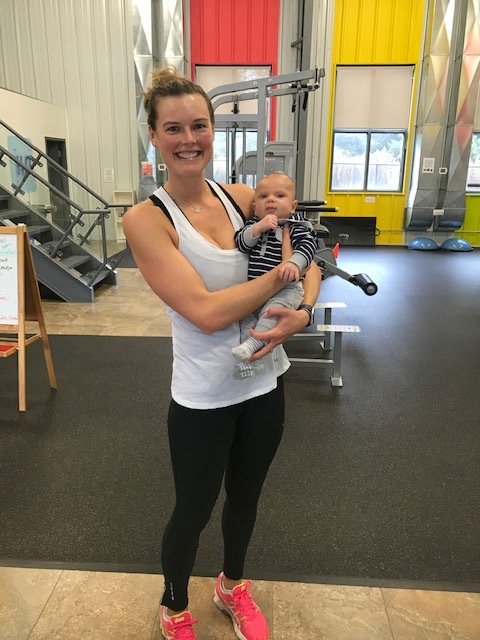 I’m a busy Mom and to all those others out there, thinking of getting started towards being fitter, I say “go for it – you can do it!” Thanks Sarah for all of your guidance and wise words during classes. I enjoy all the classes I attend along with the Small Group Training and Nutrition Coaching services. I am so happy to have found NRG 4 Life! The classes combined with Nutrition Coaching are really working well, helping me to stay on track and assisting with my goals. 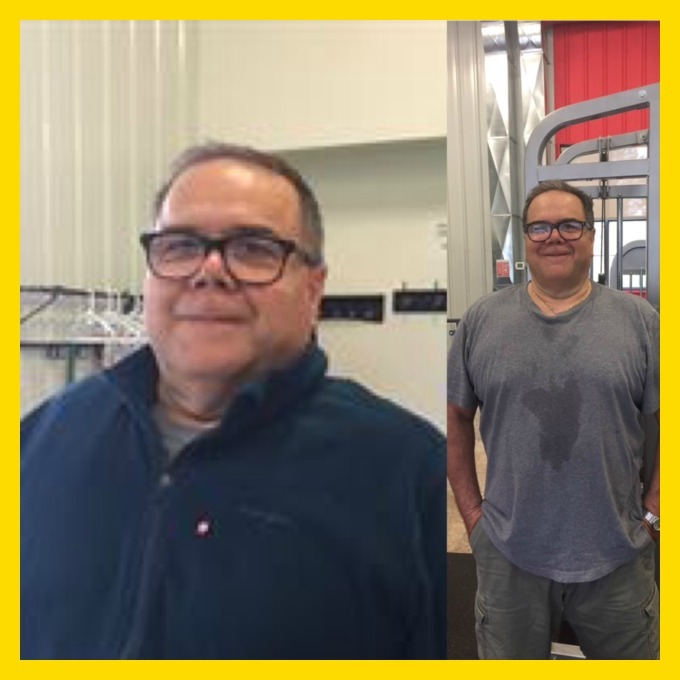 In January of this year I joined NRG 4 Life fitness and vowed to myself that I was going to be fitter now at 50 than I was at 30. With the motivation provided by Taya’s spin, row and core classes along with Sarah’s circuit classes I’ve managed to lose nearly 20lbs and three belt sizes. My overall health is much better and I have considerably more energy than I’ve had in the past 20 years! The vibe at NRG 4 Life fitness is fantastic! EVERYONE is very friendly and that makes it much easier to WANT to go to the gym! I still have a little way to go to have the physique that I picture, but I’m sure that with the help of the staff at NRG 4 Life that I’ll get there. Since joining NRG 4 Life, I’ve lost 25 lbs in 5 months, however, it’s really been the last 2 months, that I’ve “buckled down”. I’ve gotten into a consistent routine with my exercise, coming right after work approximately 4 times per week. 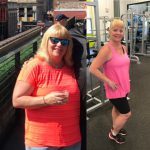 With my shift work, that was never easy, however, now that I’m getting results and enjoy my time at NRG 4 Life, I can see this being something I can do – a lifestyle change as they say. My energy level has gone way up and I feel more positive in general. I found the nutritional coaching from Kim was really, really helpful as well and now I grocery shop and eat so much more mindfully. The combination of exercise and proper eating works. You can’t have one without the other! 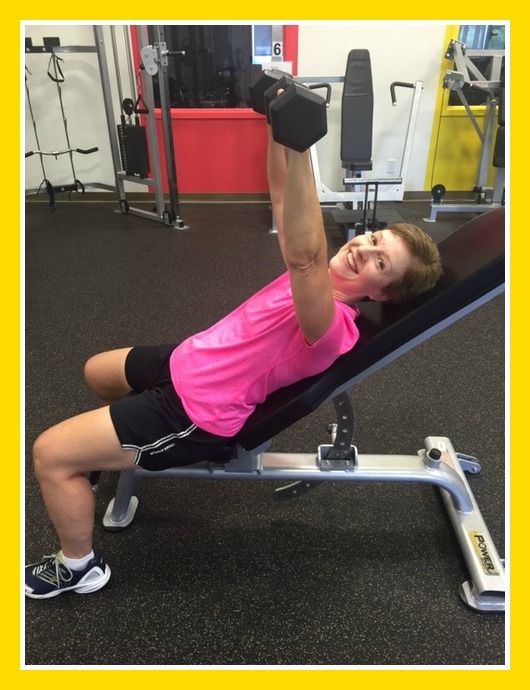 Using my pension checks for Personal Training is my investment to my health. My bone density has improved and my core is so much stronger. I started because I wanted to fit into my mother of the bride dress a few years ago, but now I continue as the benefits go way beyond how I look in my clothes! My trainers are able to make sure that every session is geared exactly to my changing needs. I love the yoga and spin classes at NRG 4 Life as well! The instructors are the best, however there’s no way I would stay as motivated or consistent without my one on one sessions too! I have loved belonging to NRG, had tons of fun, made many gym pals and have bettered my health. Thank you Sarah and Terry along with your great staff for a wonderful 5 years (time has flown). Not only have I enjoyed the exercise, I knew whenever I stepped in the door that I would be greeted warmly. Your atmosphere is unlike any other “gym”. I will miss everyone, but am looking forward to this next facet of our lives outside of the area. I returned to NRG 4 Life in 2014 after recovering from a serious illness. I was out of shape and at my all time heaviest weight. My goal was to lose 30 pounds safely and to get my energy back. By June 2015, with a lot of hard work and support from family, friends and the NRG4Life team, I am proud to say that I reached that goal. I am now reaching the one year mark of maintaining my goal weight and keeping myself active. I attend a variety of bootcamp, evening and weekend classes 4-5 times per week – sometimes alone and sometimes with a workout buddy. I have learned that this is what I need to do in order to maintain my current weight, and to feel both fit and energized. I am thankful to Sarah, Terry and the NRG4 life instructors for keeping me on track, and helping me to reach my fitness and nutrition goals. There is an incredible amount of support here and I am so glad to be part of the NRG 4 Life family. I love the way I feel when I workout regularly. At NRG 4 Life there’s so many great class options which keeps me motivated without getting bored! After a long day, the hardest part is just walking in the door. I remind myself as I drive over after work how great I will feel after. Unlike other gyms, I am always greeted by friendly staff who make everyone feel welcome and truly care. It’s like a community of all different people coming together to be healthier without any judgment. Some members just workout, however, I enjoy the camaraderie of the classes! I attend Pilates, Circuits, Yoga, Step and Spin – there’s something literally for everyone and for all levels! 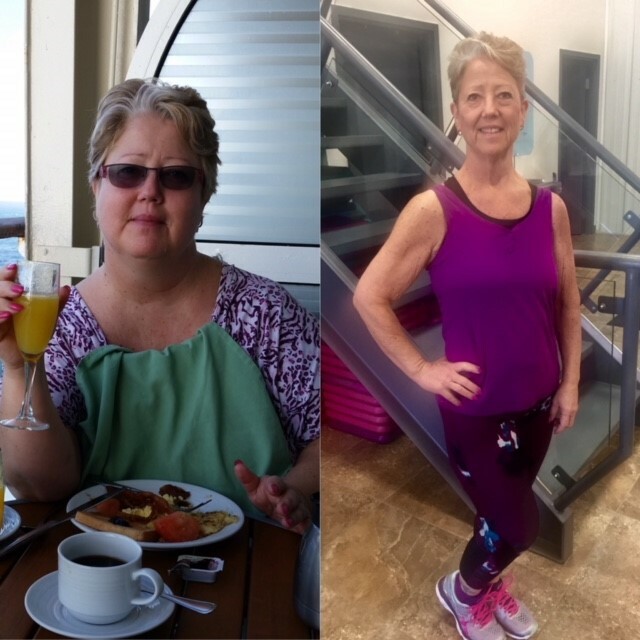 It’s when I added Nutrition Coaching with Kim that I really saw a big difference in my shape and now I’m on the free maintenance plan. I trimmed down 8 lbs in 8 weeks, more importantly, it gave me the tools and new tips I need to be accountable to continue eating healthy. My husband commented that I was pulling too hard while kayaking on vacation! Obviously my workouts at the gym are paying off especially the Rockin’ Row Circuit and Equipment Circuit! When I joined NRG 4 Life my main goal was to increase my energy, stamina and strength and I can definitely say I have done that. The friends and fun I’m having are a nice bonus I didn’t expect! I’m fairly new to the gym scene. It’s something I didn’t think I needed until I heard from my daughter who is also an NRG 4 Life member that I should give it a try! I am now hooked!! I do the stationary bike, treadmill and even a few strength training machines. I’m no ‘Spring Chicken’, however, I always feel welcome and there’s members of all ages from teens up. I had no idea that a ‘gym’ could be like this. Since joining NRG 4 Life I can take upon daily tasks easier and when I travel I have more energy being able to walk for longer periods of time without getting winded. Keeping my weight at a healthy range makes me feel good and improves the quality of my life in so many ways. I’ve made a lot of friends at NRG 4 Life and am so happy I joined! Bootcamp has increased my energy level substantially. The class atmosphere is fantastic! I found that everyone in the class was very friendly and I attribute that to the simple fact that we are all there for similar goals. I can’t say enough about the amazing trainer’s attitude either. The choice motivational words really help me to keep pushing myself. I’m always greeted with a big smile when we start and it’s still there when we finish! I have a long way to go in my fitness goals and I feel that this has given me the right stepping stones to get me in that path. Thanks so much NRG 4 Life!